The New York Times has just announced its list of Top 52 Destinations in 2019. Top names include leisurely heavens such as Puerto Rico, Panama, Munich…and at the 15th position is Danang. Mới đây, báo New York Times đã công bố 52 điểm đến của năm 2019. Đứng đầu danh sách này gồm có những thiên đường du lịch như Puerto Rico, Panama, Munich… và Đà Nẵng nằm vị trí 15 trong danh sách. Danang, Vietnam’s third largest city, is probably best known for being a gateway to the nearby Unesco Heritage town of Hoi An. 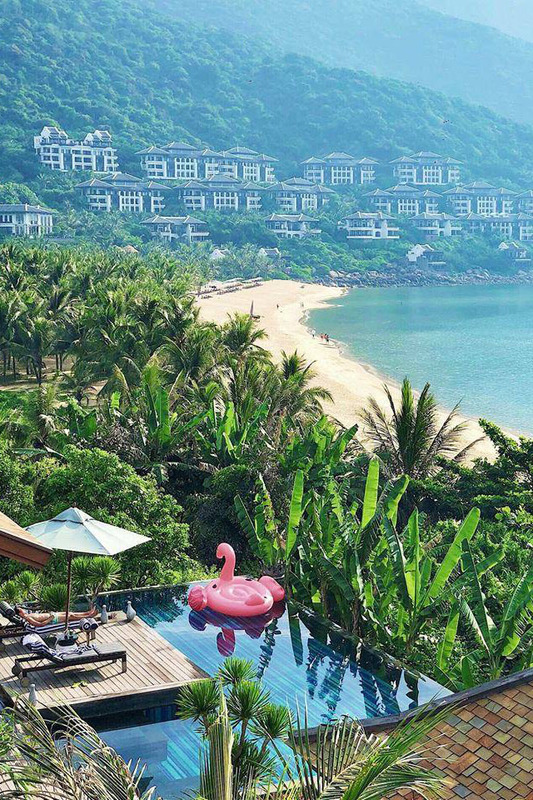 But in the last few years, it’s begun to develop its own reputation as the Miami of Vietnam, with a strong foodie scene and new hotels and resorts popping up on a five-mile-long beach strip, including the InterContinental Danang Sun Peninsula Resort, on its own private cove, with hillside villas with individual plunge pools. A typical day might start with a morning swim on the sandy, crescent-shaped Non Nuoc Beach and perhaps a quick stop at the Han Market. Then, an afternoon visit to the Marble Mountains, where travelers can explore the temples and pagodas that look out over My Khe Beach. and, later, dinner back in the city, perhaps at Nén, a new restaurant from the much-followed food blogger Summer Le. In the recent past, The New York Times did already mention Danang in its Top 52 Destinations in 2015. The listing is crucial for the city to capture media attention from big newspapers, media channels and international travel awards in the following years. +Danang is nominated as one of the Destinations of the Year 2015 by the New York Times. +Ranks 6th in Top 10 most advancing countries in the world that is worth visiting in 2015, by website The Richest, Canada.